Here is an uncial style reading of Paul’s letter to Philemon that I decided to create. The script type is in the style of the Alexandrinus manuscript (from Linguist Software). I decided to mimic ancient New Testament manuscripts with the exception that I used spaces between the words. I attempted to retain the nomina sacra as faithful as possible. Below is a download of the PDF. It appears quite well on a tablet… about the size of some of the old manuscripts! In my opinion, it has a P66 feel to it. 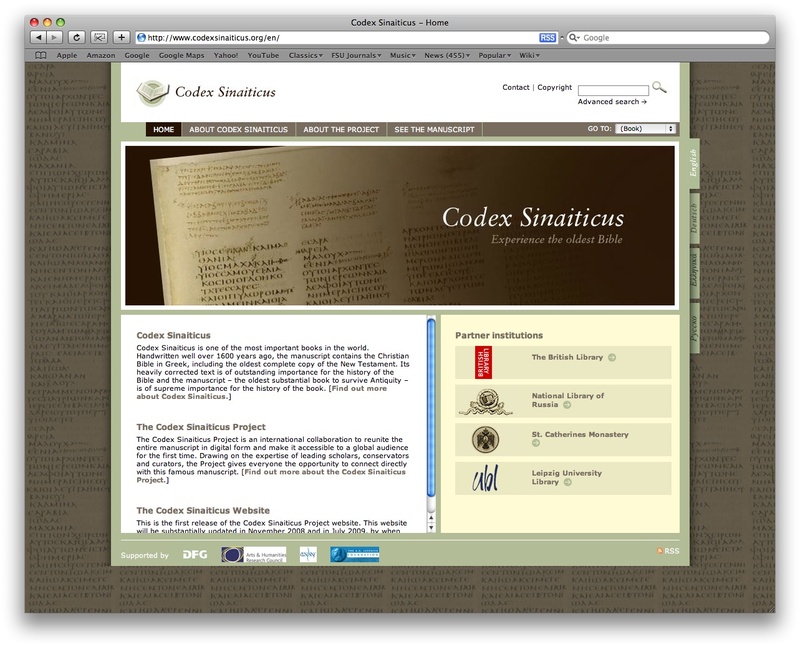 Today Codex Sinaiticus will be available for all to see. Not all of it, but at least a bit of it. The site’s full completion of uploading the manuscript should happen by mid-summer next year. Sinaiticus, a fourth-century manuscript, is the oldest complete New Testament manuscript known to us today (Old Testament is lacking portions). I had the opportunity to see it a few times at the British Library, while passing through London. It is truly a beauty. Note: if the site doesn’t initially work it probably means they’re still working on it — it’s the launch day! So try refreshing your page if it doesn’t work at first. For matters relating to textual biblical studies, Dan Wallace over at Parchment and Pen has posted a quiz on New Testament Textual Criticism. I went through it last week but discovered, with the answers now available by Dan, that there is key phrasing to some of the questions! If you are interested in such quizzes head on over there before reading any further here. The answers are now posted but I encourage you to work through the quiz first. It’s a great learning exercise for ancient texts and manuscripts. Some of the key phrasing — for example, with #1 the key word is “published” not “printed.” With #6 the key word is “complete.” My original answer was P52. I should read my questions more carefully! Here is the link to Dan’s answer key. Preparations for the fifth edition of the United Bible Societies’ Greek New Testament are underway. These involve revising the choice of variants from the fourth edition, again with the purpose of focusing on those that are most significant. UBS5 will also be informed by work on the ECM. They have written to a number of scholars asking for suggestions as to changes in the variants registered. Although they haven’t thrown the net wide open for comments from anyone, I’m sure that unsolicited but reasoned feedback on this issue would be gratefully received by the German Bible Society, who appear to be coordinating this project. Since they are also planning to have an Additional Meeting at SBL in San Diego, that would be another opportunity to present the editors with constructive suggestions. Update I: for a more complete verb chart, see Institute of Biblical Greek. *Update II: for the latest click on the Greek Page in the side menu.